The interest in the religion and spirituality of the Egyptians is increasing steadily as people begin to realise that it is possible to follow this ancient belief in the 21st century. This religion is the oldest recorded belief system in the world, having just entered its sixth millennia - and can still teach us how to live in both earthly and cosmic harmony. But first, we need to put things into some sort of perspective ... 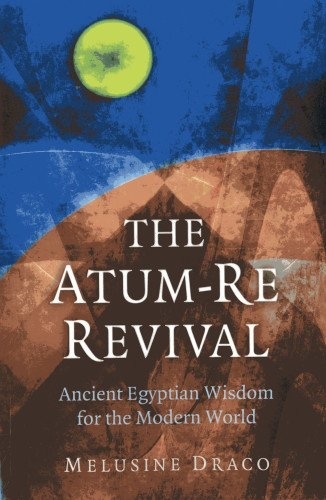 The modern, abstract cover design instead of traditional artwork immediately suggests that 'The Atum-Re Revival : Ancient Egyptian Wisdom for the Modern World' is going to offer a different approach to ancient Egypt. As one reader said: "A really well written, interesting and knowledgeable book; having quite an interest in the Egyptian Mystery Tradition, I found this to be an extremely solid and informative text. 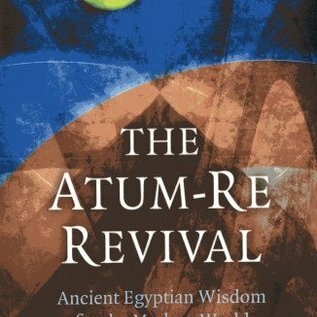 I have studied a little Egyptian magic, but this book is fascinating and goes much further than anything I have previously read." , Unusually, the text examines ancient Egyptian belief from earlier times rather than the later, more familiar Greek influences. It also includes a genuine calendar that has been compiled from various Greek and Demotic Magical Papyri lodged in the British Museum, the Bibliotheque Nationale in Paris, the Staarliche Museum in Berlin and the Rijksmuseum in Leiden; the Sallier Papyrus IV and The Cairo Calendar currently lodged in the British and Cairo Museums. The calendar lists the names of the deities whose anniversaries take place on every day of the year including special spells (prayers) that were devised for the protection on certain 'unlucky' days. Every day was considered to have some magical significance, which caused it to be "good, bad, or partly good and partly bad". By consulting these lists of lucky and unlucky days, each individual could protect himself and his family against the danger of the day., It is also interesting to see just how much ancient Egyptian customs and philosophy has influenced Western European culture and metaphysics right up to the 20th century. The author, Melusine Draco is Principal of the Temple of Khem, which teaches the modern Egyptian Mysteries and as she says: "By viewing the Egyptian Mystery Tradition as a continuing and expanding faith, with its own temple calendar, established history and 'futuristic' thinking, it is possible to see that this very ancient wisdom has a very positive place in the modern world."